City located in Northern Poland is the birthplace of the greatest and famous Nicolaus Copernicus. In the Middle Ages Toruń was a prominent trade centre as a member of the Hanseatic League; in Poland is called 'Krakow of the North'. Toruń is the most Gothic urban complex in Poland, one of the most important and crowded tourist centres of unique value, right after Krakow the second richest of original and best preserved historical monuments city in Poland. Numerous museums and other attractions. The whole complex of Toruń Old Quarter, of unique value, measured by world standards, consists of three historical urban sections: Old City (1233), New City (1264) and the Teutonic Knights' Castle (mid. 13th c.). All of them are included in the UNESCO World Heritage List. The medieval urban and architectonic complex of Toruń has preserved on the whole and constitutes a precious document of tradition and past. The more precious as it is one of the not numerous cities that hasn't been destroyed during the world war II. Toruń is also one of the most important science and cultural centres in Poland with its bigest and oldest university in the North. Toruń did not suffer damage from the second world war and that's why its urban substance and urban fabric are authentic, the city offers a mixture of Polish and German history. One could easily spend a full day of solid sightseeing here...if you have time, two or three will pass in a trice. The unique atmosphere of Gothic (>>) is the greatest attraction of Toruń. That is why Toruń is visited by over 1.5 million of tourists each year. It is here where one can find vast Gothic cathedrals, magnificent Gothic Old City Town Hall, ruins of the very first in Poland Teutonic Castle, the Gothic Leaning Tower, many Gothic townsmen's houses and preserved city defence walls with Gothic gates and turrets. There are many museums in Toruń and everyone visits Nicolaus Copernicus Museum - the greatest astronomer's and son's of Toruń who moved the Earth and stopped the Sun and the Sky. Not only that about Copernicus - you can find his traces and spirit everywhere. The other peculiarity are the Gingerbread of Toruń of which the city is widely known. They have been baked here since the 14th century in the traditional moulds. Gingerbread was by no means the only speciality of Torunians who, except trade, also dealt with craft. If you like nature, sports and excursions you will find it in the region of Toruń. History lovers should first of all tour the Chelmno Land with its medieval towns, churches and Teutonic castles. See more - Highlights of Toruń here. Toruń is located in the very centre of Kuiavia-Pomerania administrative region (voivodeship) and on the border of three historically and geographically differentiated regions (Kuiavia (Kujawy) on the south, the Chełmno Land (Ziemia Chełmińska; part of Pomerania) on the north and the Dobrzyń Land (Ziemia Dobrzyńska) on the east. This enhances the Toruń's attractiveness as a perfect few-days tourist base and makes the city the excellent escapade point into different and very interested historical places associated with Polish history. • and many ruins of the Teutonic Order castles and Gothic churches in the Chełmno Land. Moreover there are also good conditions for rest or active tourism, especially in Brodnica Lake District (Pojezierze Brodnickie) with a few interesting nature reserves, Koronowo Lake (Zalew Koronowski), the Tuchola Forests (Bory Tucholskie) and also villages where the relicts of folk architecture and culture extant. More about tours in Kuiavia-Pomerania region here. Among others Toruń is known for its long and stormy history. In 1231 founded by the Teutonic Order rapidly became the biggest city in the state. It developed into a resilient trade centre of Hanseatic League within a short period of time. Toruń played an important economic and political role in the whole Teutonic State. Nevetherless its people who in majority were of German origin in 1454 started the Polish-Teutonic Thirteen Year War and eventually chose the rule of the Polish kings. Excluded from the leading position by the Baltic city - Gdańsk, Toruń was able to become a very important centre of culture and science in the age of the Reformation and Renaissance. Then it was Toruń where an international important events of religious and political matters took place. "Toruń is so beautiful with its magnificent buildings and their gleaming red slate roofs that there must surely be nothing else to compare with its beauty, situation and splendour" - this is how the Polish medieval historiographer Jan Długosz described Toruń in his chronicles. These words are not without foundation. The colour of brick predominant in the town was so striking as to prompt the simile 'red like Toruń'. The monumental buildings, which have earned for Toruń its established place in the inventory of European art, are of special value. The monumental Gothic Old City Town Hall, together with three great churches are to this day the living museum replete with ingenious works of art produced in the workshops of medieval, Renaissance and Baroque Toruń. They all represent a high level of art and constitute an important link with the development of the Gothic sacral architecture of northern Europe. As regards the style, the art of Toruń belongs to the north-European one. However, in addition to its clear connections with Flanders, it also reveals marked links with Bohemia, Silesia and north-western Germany. Even so the art of Toruń has its own individual expression. Gothic architecture constitutes in Toruń the richest complex of medieval burgher buildings all over Poland. Beginning with the 16th century Toruń found itself in the centre of a new style. This was Netherlands-type Renaissance whose form became universal in northern Europe. As late as in the period of Baroque style (17th century) there appeared in Torun the elements of southern Europe (Italian) style, but they were not to strong to create something extra. Any time can be the best time to visit Toruń. The peak of the tourist season is May, June, July and August, when the weather is finest. But the city is crowded with tourists, the prices are higher and you have to make a different reservations much in advance. Otherwise the tourist season prepares many extra attractions for the visitors. And if you are one of the growing numbers who favour off-season travel, you will find the city also attractive with the great number of cultural events going on. Click here for more information about cultural events. Toruń has good connections with other Polish cities. Important routes have always passed through Toruń. The Toruń road jounction is composed by three important national routes: No. 1 (A1 Motorway or European No. E75) Helsinki-Gdańsk-Cieszyn-Budapest-Athens, No. 10 Warsaw-Szczecin and No. 15 Olsztyn-Wrocław (and Poznań). Polish roads are dangerously busy and many require resurfacing or modernizing. There are only a few motorways and the network is growing slowly. You can get to Toruń by train from any Polish major city. An average journey time to Warsaw is some three hours. Unfortunately as yet there is no airport in Toruń. The nearest airports with a good air connections with a number of European cities are located in: Gdańsk (175 km or 150 by A1 motorway), Poznań (150 km) and Warsaw (210 km). More on getting to Toruń here. As yet there is an absence of luxury (i.e. 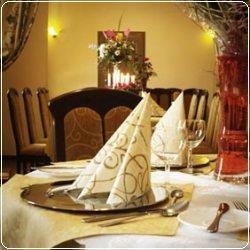 five-stars) hotels in Toruń that would be part of international chains. However there are many hotels of four- and three-stars and less, so one can choose from almost 40 different hotels. New hotel constructions have bloomed after 1989 but have still not managed to keep up with the ever increasing number of tourists that arrive each year. Among those opened there are many hotels in former tenement historical houses of the Old Quarter that have been specially converted for use by tourists. Most of Toruń's hotels can be found in the Old Quarter or within close proximity. Toruń is not a sprawling metropolis so even the distant hotels should be no more than some 10 km out of the Old Quarter. Tourists travelling by car may find overnight accommodation in hotels, motels located in areas round Toruń. Tourists with an exceptionally limited budget may care to take advantage of camp sites and youth hotels. Early booking, preferably several weeks prior to your arrival, is advisable to make a successful reservation at a Toruń hotel. Visitors to Toruń have at their disposal restaurants of different standard and featuring both foreign and Polish cuisine. The majority of restaurants, cafes, night clubs and pubs have a nice location - occupy historical interiors or medieval cellars, all painstakingly restored, also designed so as to stay in harmony with modern furniture. Visitors who are short of time and travelling on a budget may choose to eat in a canteen or fast-food bars where they can have a two-course meal for only 15 zl. Those who enjoy good food in a pleasant atmosphere will not be disappointed in Toruń. More here. About Polish cuisine here. A variety of cultural events and festivals are held throughout the year in Toruń, some of international dignity. Toruń is a city where things happen. Every year sees about 1,500 cultural events; some of them are for the general public while others are usually intended for limited and more discriminating audiences. There is enough variety on offer for everyone to enjoy. The City of Nicolaus Copernicus takes pride in its two professional theatre companies, Symphony Orchestra of Toruń and plenty of museums (including the Contemporary Art Centre). There are several art galleries, cultural centres, cinemas and numerous clubs where concerts and exhibition previews are held. Here we present only a specimen of Toruń's cultural life. The professional guides of the Toruń Tourist Service (Toruński Serwis Turystyczny) are specialists to show how to explore the Gothic City of Toruń. Moreover you can choose from our propositions of some varied guided tour routes. Guide services can be offered in the following languages: Polish, English, German, French, Italian, Portuguese, Russian, Ukrainian, Czech. • For further details click here. The currency in Poland is złoty (zł or: PLN). 1 zł = 100 groszy (gr). For details on changing money and methods of payment see our Shopping, money and souvenirs here. 10zł, 20zł, 50zł, 100zł, 200zł. Toruń is an investor-friendly city. This opinion is confirmed by the title of Community Fair Play 2008 which the city was granted during the 7th edition of the competition organized by Institute of Private Enterprise and Democracy. Furthermore, Toruń obtained a certificate and promotional emblem "Community Fair Play" Certified Investment Location. In addition, Toruń City Community certified in 2008 a prestigious and recognizable nationwide promotional emblem "Teraz Polska". The most important advantages of the city are: favourable geographical location, high quality of job market, good technical infrastructure and, which is crucial – investment-propitious social ambience, regardless the country which the capital comes from. 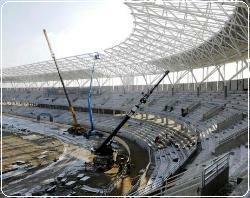 More about investing in Toruń here. A Polish holiday can add a festive note to your trip, particularly if it involves a parade or special observance somewhere in the country. But expect banks, shops, and most museums to be closed, and public transportation to operate on Sunday schedules for the listed holidays. On the Palm Sunday (week before Easter) people bless decorated palms in churches. Holy Saturday is a day when baskets with food are taken to the church for a blessing, and symbolic tombs of Christ are venerated. But in Torun original Gothic sculpture of Christ in Tomb remained - it is presented all year round at St. Mary's church. Easter Sunday is the most important Catholic feast. Usually the Poles spend it with family. First they have a solemn breakfast with the food blessed on Saturday. Easter Monday is a day when they visit friends or going out the city. But there is also a Smigus-dyngus custom maintained in Poland - men splash women with water throughout the cities and countries. This custom is specially observed by youths. celebrates the first Polish Constitution of 3 May, 1791 with a Mass said in the churches. Afterwards there are fairs and picnics. A great processions are hold on one of the Thursdays of May or June. The main one proceeds throughout the Old Quarter and finishes in St. Johns' Cathedral. By the way it stops by four decorated altars specially set up in the city. A solemn Mass is said in the church. This is also the national holiday of the Polish soldier commemorating the 1920 victory over the Bolshevik Army. People visit cemeteries to lay flowers and light a candles on the graves. Evening or night views of the cemeteries enlighten with thousands of small candle lights is unforgettable. On the oldest of Torun's cemeteries - St. George one - the collection is hold to renovate historical graves. There is a Mass in the churches and wreaths are laid at the Marshal Pilsudski monument. Christmas Eve (December 24) is the day when the evening begins with a meat-free meal (Wieczerza). The tradition says that there must be 12 dishes with carp and other fish on the first place. Other customs are to put an extra cover for one person and to put some hay under the table-cloth. After the supper Santa Claus distributes gifts. Midnight masses called Pasterka are said in the churches. On Christmas (December 25 & 26) masses are celebrated in all churches. The first day people spend with the family and the other visits frieds. Around Christmas a great Christmas Crib is set up on the Old City Market Square (Rynek Staromiejski) in Torun with a figures of the Holy Family. Such a Nativity scenes are also held at churches and people often go visiting churches to admire them. One of the greatest and most beautiful is constructed in St. Catherine church. Many Poles, particularly the younger ones, speak decent English and sometimes German, but that is no excuse to learn at least a few of those tongue-twisters, so we have included a brief guide to get you started. Polish belongs to the west-Slavic languages and started to form in 10th century and only as a spoken language. They used to use Latin when writing then. The bloom of the literary Polish took place in the times of Renaissance, ie middle of the 16th century. That's why Copernicus hasn't left any written word in Polish and thus we cannot be sure if he knew Polish at all. Torun has a temperate-warm climate. Typical weather in Torun ranges from a little around freezing with in winter (some -2 degrees Celsius), though with a snow, to beautiful sunny days with temperature around 25-30 degrees Celsius in the summer. The coldest winter months are January and February, but the snow and the temperature below zero can happen also in November. The warmest weather is from June to August, with temperatures between 20-30 degrees Celsius. The extreme temperatures occurs as in winter as in summer. For example the extreme lowest temperature was noted in January 1963 when it was -32 degrees Celsius. The highest temperature noted was in July 1959 when the thermometer indicated 38 degrees Celsius. The rainiest month is July and June. The smallest amount of falls (snow) is noted in February. For current weather in Toruń-Piwnice click here. For the weather forecast click here. Toruń has a friendship and cooperation agreement with Swindon in Wiltshire. It was signed in 2003. The ceremony took place in Toruń's Gothic Old City Town Hall. First but not official contacts between the cities were started however in 2002 by the local authorities in Swindon and Polish community living there. - European Union and assistance programmes. The only thing that links Toruń and the USA is its twin city Philadelphia (Polish: Filadelfia) which was the first partner to sign a Partnership Agreement with Toruń. Large Polish community who cultivates traditions of Kosciuszko and Copernicus lives in Philadelphia. In July 1974 a delegation of Americans of Polish origin from Philadelphia visited Toruń and informed city authorities that in August 1973 in the 500th anniversary of the birth of Nicolaus Copernicus his monument was erected on the initiative of Polish community who also financed the building. The delegates handed over a symbolic miniature of the "Bell of Freedom" to the authorities of Toruń and expressed hope that the closer contacts between the to cities would be established. During the celebrations of the 200th anniversary of creation of the United States the place in Philadelphia where the monument of Copernicus stands was called the Toruń Triangle, whereas in March 1976 a street by the Vistula River in Toruń was named Philadelphia Boulevard (Bulwar Filadelfijski). The official agreement of cooperation between the cities was signed in February 1977 during a visit of Toruń's authorities delegation in Philadelphia. On this occasion common features of both cities were emphasized: important historical, scientific and cultural traditions - Toruń was the place of birth of Nicolaus Copernicus, Philadelphia instead was the place of birth of the USA. This is a photo of the Copernicus monument located on the "Toruń Triangle" at the intersection of 18th Street and the Benjamin Franklin Parkway in Philadelphia. It was erected by the proud Philadelphia Polish Community and depicts Copernicus' discovery of the Earth's rotation around the Sun. For more about Copernicus click here. Have you visited Toruń? Tell us about your impressions on it. How do you find the atmosphere of the Gothic Town? What would you like to recommend to your friends. And also - what is not good enough here and what don't you like. What would you improve or change. Please fill out the form below. Your email address will not be made public, nor passed on to third parties. We hate spam mail as much as you do!